Quick! Get the camera! From the Lock screen, just swipe up. Or swipe up from the bottom edge of the screen to open Control Center, then tap . 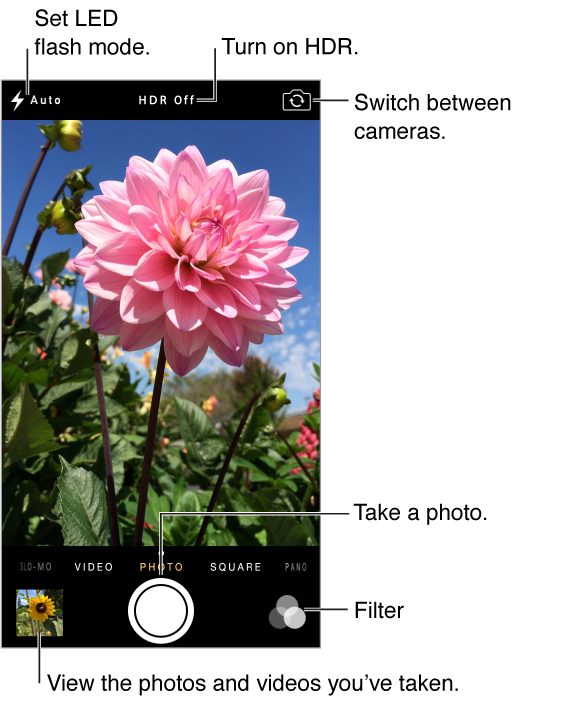 With iPhone, you can take both still photos and HD videos. And, there’s two cameras—in addition to the iSight camera on the back, there’s a FaceTime camera on the front for FaceTime calls and self-portraits. The LED flash provides extra light when you need it—even as a flashlight, just a swipe away in Control Center. See Control Center.